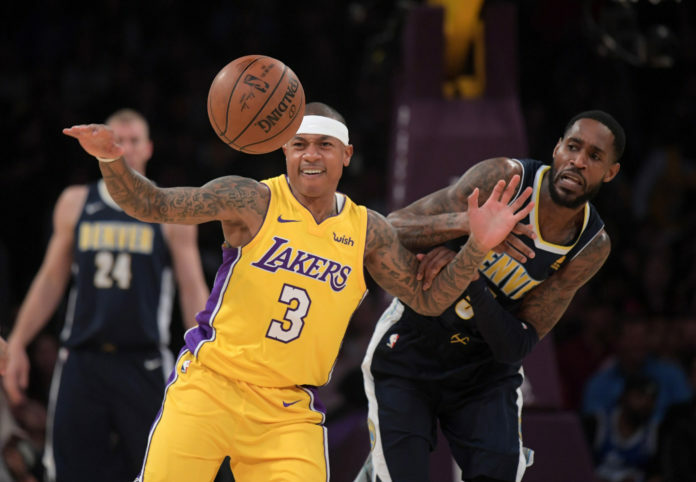 When the Denver Nuggets signed Isaiah Thomas, many wondered how he and Jamal Murray would co-exist. Two years ago, not many would be able to picture Thomas coming off of the bench for a player heading into only his third year in the league, but Thomas is open to the idea of a bench role if that means that he will get the opportunity to play. Murray is one of the faces of the Nuggets franchise and was given the keys in the middle of his rookie season. Since then, Murray has been a consistent force and has made a successful jump into becoming the starting point guard for Denver. Murray is coming off of his best year as a professional and averaged 16.7 points and 3.4 assists a game. Thomas is a two-time All-Star that is only 18 months removed from being an MVP candidate. Back during the 2015-16 NBA season, he led the Celtics with a whopping 28.9 points a game, but that level of play will not exist for Thomas this season. Prior to signing his deal with the Nuggets, Thomas was told by head coach Michael Malone and president of basketball operations Tim Connelly that he will not be in contention to earn the starting point guard role. 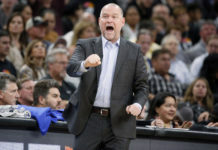 “I want you know that Jamal (Murray) is our starting point guard now, and in the future, and if you’re looking to go somewhere to fight for starting minutes, that’s not going to happen here,” Malone told Thomas, according to ESPN’s Adrian Wojnarowski. Thomas is as straight forward and open as they come, a trait that is admirable. He is a polarizing player that is known for his scoring abilities, leadership, and competitive nature while on the court. 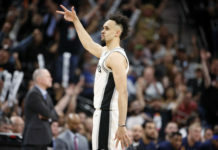 But off the court, he is just as charismatic, out-spoken, and passionate; something that he holds dearly and a reason that he said he chose Denver as his next destination. At Monday’s media day Malone reiterated the fact that Murray was the starting point guard now and into the future. That was a conversation that him and Thomas had together as well. It was a reason that he chose Denver over other places because he said he values honesty and is looking for a chance with a team that will allow him to be himself. In Denver media’s first chance to talk to Thomas, he was extremely candid. He spoke about previous teams that he had been on, comparisons between Celtics head coach Brad Stevens and Malone as well as a few of the playful arguments that he has been having with his new teammates. 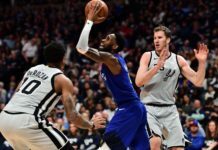 One of the most shocking discoveries however was when he stated that he doesn’t care if he has to come off of the bench and that he is just here to play and make the best of his opportunity. Thomas is coming off of hip surgery in March that has kept him away from basketball activities for almost a year. While he hasn’t been able to play, his impact has already been felt on the Nuggets organization in a short amount of time. He has been the vocal leader, changed the dynamic of the locker room, and has been working closely with players in practice during training camp. He doesn’t have a firm timeframe for his return, but he says that he has been feeling better. Thomas says that Denver is a team that he feels can finally get to the postseason and make some noise in the playoffs. He said that it is a team that he has been following for quite some time and they are close to taking the next step and he feels as if he can be one of the reasons that the team makes the jump.